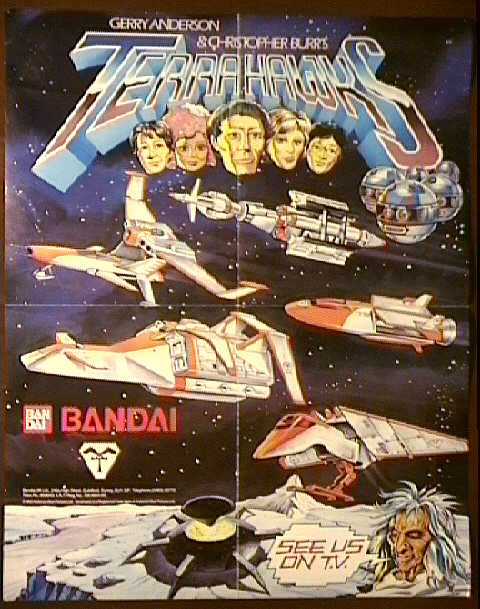 TERRAHAWKS COLLECTABLES, MISC- Promotional poster Bandai Toys -2. Promotional poster by Bandai Toys. A single sided poster, measures 24*19 inches, advertising the Bandai Toy range.